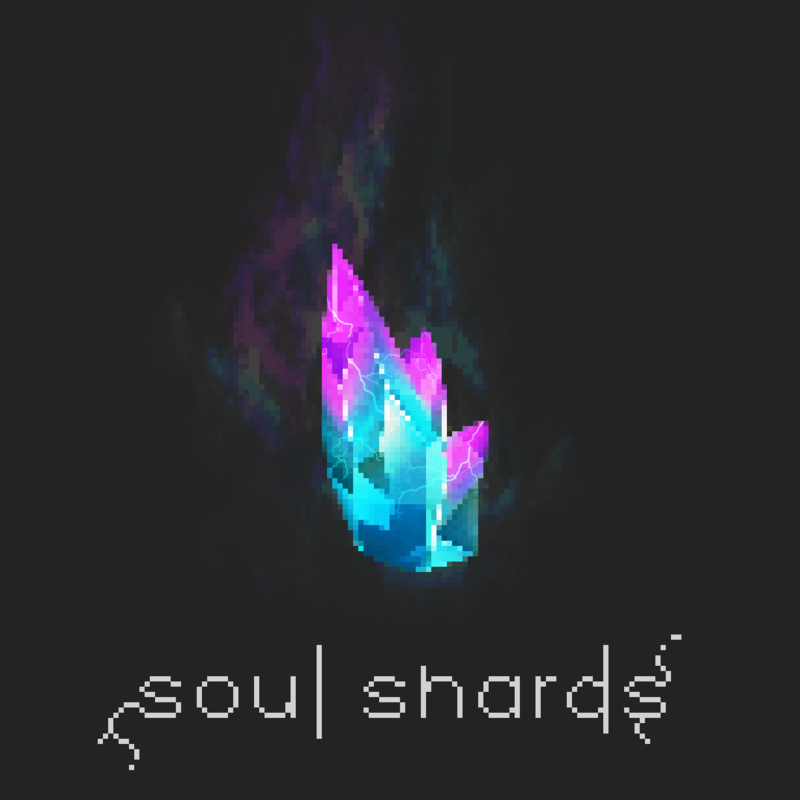 Soul Shards is a simple mod that allows you to gather the souls of the creatures you slay into gem fragments. The first kill you get with a Shard binds that shard to the killed entity. Shards must be on your hotbar or in your offhand. It will only receive souls from that entity from then on. To speed up the process, you can right click a Mob Spawner that contains the bound entity to consume the spawner and increase the shard's stored souls by 200 (configurable). To efficiently gain souls, you should look into getting the Vile Sword, which adds another soul per kill, or the Soul Stealer enchantment, which adds an additional soul per kill per level. The maxiumum amount of souls you can obtain per kill is 7 (1 base + 1 Vile Sword + 5 max level Soul Stealer). Once you begin progressing through the tiers, you should craft a Soul Cage. A Soul Cage will let you insert your Soul Shard and will begin spawning the bound entity indefinitely. Soul Shards Respawn can be used any modpack. If you still ask me, I will say you can't use it. This mod is a rewrite of Soul Shards: The Old Ways. I have moved it to it's own project due to SgtPunishment being extremely inactive. So, I made a creeper spawner tier 1, and I made a new soul shard, but the soul shard is not accepting kills from the spawner creepers. Is this intended behavior? By default, mobs spawned by a cage will not count towards the shard. Any Chance of updating to the newest snapshot :)? Or are you thinking of waiting until 1.14 full release? Love the mod by the way. Really do appreciate the work you've put into it. Finally managed to enchant up an awesome Soul Stealer V diamond sword. I like it most because basically the mod makes it so if you want to get up to a level 5 shard most of the time your going to want to build a farm of some sort to do it. Whether that's a villager murdering farm, a blaze farm, or just a let me feed a thousand sheep and then murder all of them farm, it just is probably worth it to do that. Then after that you basically get to upgrade and place the farm anywhere you want with the soul shard. For example I just made a blaze farm in the nether and got myself a level 5 blaze soulshard after that. I wasnt super worried with the farm for efficiency or anything like that, it worked and after a little bit I had a level 5 shard. Now ill be able to have a togglable blaze farm inside my base because of this mod. Thats the reason this mod is so great. Thanks again for maintaining and updating this mod, its one of my favorites for sure! I'm working on updating it, but I've just been slammed at work so motivation is low right now. you do you fam, don't feel pressured to update! No problem at all :). Sorry to hear about work my friend. I know the feeling for sure. Just know all of us appreciate the work you do :). For some reason on the newest snapshot, 19W05A, it keeps crashing. Anyone else having this problem? I had it working on the snapshot before this. I updated to the newest fabric and everything like that. Not sure what the problem is. I have other mods working on this snapshot. Maybe provide a crash log? Sure thing its just saying I am using an unsupported modified version of the game. Awesome! Fixed and working brilliantly! I absolutely love this mod and I really appreciate you taking the time to restore it and maintain it. Thank you again for the mod and for the quick fix!! can you make this for 1.10.2 plz? why only 1.12? Thanks for keeping it to date. Will always be a part of my personal server packs. I think you can add a sentence like "So you can do evil things with their Souls..." I am really confused at what can I do with the shards when I was reading this. Um, hate to point out the obvious.. But - it doesn't say what this does as you accumulate souls? It's missing the old "Soul Shards is a simple mod that allows you to store the souls of creatures inside gems for use in a Soul Cage to summon more of them later."